Ever since the line between celebrity and social media celebrity was erased, bloggers have become legitimate influencers across almost all industries, affecting consumer decisions beyond purchasing by acting as both tastemaker and trusted friend. And a large fan base is no longer a requirement for influencers. More recently, brands have been turning to micro-influencers, bloggers with less than 100,000 followers, to better target consumers. 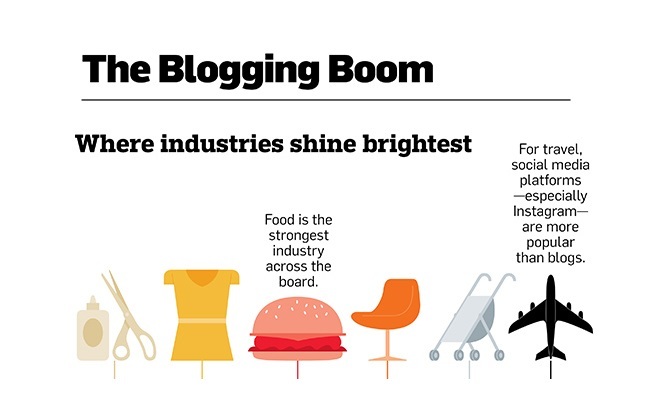 Bloglovin', a media platform that connects these microbloggers with brands through proprietary marketing platform Activate, looked at its users' followers and influence across social platforms to see how they use these channels to drive engagement. "In a rapidly growing world of micro-influencers and proliferation of social channels, brands and advertisers are looking for best practices to engage the right micro-influencers to reach their target audience," said Activate president Rohit Vashisht. "This research shows that brands can and should look at adjacent verticals to tap into multiple channels for wider audience reach."